Redistricting is the process of redrawing the districts from which public officials are elected. Members of the United States House of Representatives, the North Carolina Senate and the North Carolina House of Representatives are elected by district. The North Carolina General Assembly is required to redraw these districts following each decennial census due to population changes and the need to maintain equal representation. The most recent census was carried out in 2010, so districts were redrawn in 2011. Congressional Districts – In February of 2016 and at the direction of the United States District Court for the Middle District of North Carolina (Middle District Court), the General Assembly redrew the congressional districts. In January 2018, the United States Supreme Court entered an order specifying that the districts to be used in the 2018 NC Congressional elections were those enacted by the General Assembly in February of 2016. State House and Senate Districts - On July 31st 2017, the Middle District Court ordered the General Assembly to redraw portions of the district plans for the North Carolina State House and State Senate. On August 30, 2017, the General Assembly passed new district plans for both bodies and submitted those to the court for review.  On February 6, 2018, the United States Supreme Court entered an order specifying the districts to be used in the 2018 NC Senate and NC House elections. See the pages on House Bill 927 and Senate Bill 691 for additional information on the House and Senate district plans passed in August of 2017. "2016 Contingent Congressional Plan - Corrected" Used in the 2016 and 2018 elections.